Whilst many digital marketing professionals only focus on mainstream platforms when devising an online marketing strategy for their clients; a smart digital marketing specialist takes advantage of different other platforms available to maximize the online exposure of their client’s business. 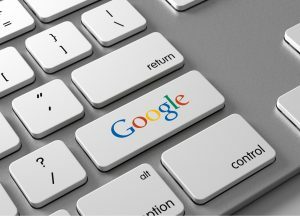 One of the most effective ways to promote your business is by maintaining a Google My Business Account. Let’s learn how it can benefit your business, especially if you are operating in a competitive legal industry. Shows Useful Information – A Google My Business account is an excellent platform to communicate important business details to the clients such as hours of business, directions, photos, description, and even holidays and special hours. This is especially useful for law firms as it will facilitate their clients who are seeking legal counsel to learn more about their practice. Easier to Access on Mobile Phones – As Google is fully committed to the mobile revolution, the listing will provide easy access to smartphone and tablets users. For instance, there is a call now button for the mobile user so they can contact a business without having to navigate through their website to find the contact details. Facilitate Clients to find your Physical Address – A Google My Business profile enables businesses to list their exact address on Google maps. This can allow your clients to find your precise location by a simple tap of a button without separately opening Google Maps and searching for your law firm. Improved Visibility in Search Results – There is a high-visibility panel on top (below-paid ads), which shows 3 local business listings containing their information. A digital marketing specialist can optimize your Google My Business account to place your business in this section, which will provide additional visibility and exposure. Supplementary Communication Channel – Use your Google My Business account profile as an additional interactive communication channel to connect with your clients. This will help you to promote your business and learn more about the client’s requirements. Obtain Analytics and Customer Insights – A Google My Business account contains an insights tab which depicts different analytics and statistics that can help you to monitor the performance of your website. The three main sections include audience, engagement, and visibility; which are extremely useful metrics to gauge the effectiveness of your marketing campaign. These are just a few key advantages among a multitude of benefits of managing a Google My Business account. Using this medium, coupled with an effective SEO strategy by hiring an experienced digital marketing specialist can help your law firm to maintain an effective online presence. If you wish to learn more about effective marketing solutions or have any questions regarding digital marketing for your legal firm, contact FORWARD marketing at (888) 590-9687.